There's something magical about pure maple syrup straight from our trees to your table. Call Mark today to schedule a woods walk. Custom design a profitable system! 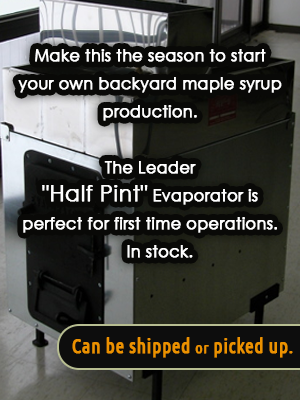 Erlsten Brothers Maple Products sells everything you can think of for amateur and professional maple production. We have jugs, tubing and even new and used equipment for sale. We also sell Ohio's best maple syrup in small and large quantities.